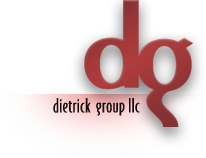 As Managing Partner, Ms. Dietrick’s oversees all company-wide activities and initiatives. Additionally, her expertise places an emphasis on the analysis and sale of income-producing and investment-grade properties with a concentration and specialization in the valuation, development and subdivision of land. Ms. Dietrick graduated from Kutztown University in Kutztown, Pennsylvania and continued her education at New York University’s Real Estate Institute in New York, New York and Schlicher-Kratz Institute of Real Estate in Lansdale, Pennsylvania. Ms. Dietrick is recognized as an expert in the field of commercial and investment real estate as a designated CCIM (Certified Commercial Investment Member). She is the former President of CREW Lehigh Valley, a commercial real estate women’s network, and is an Associate Member of the Appraisal Institute (AI), Society of Industrial & Office Realtors® (SIOR) and the Institute of Real Estate Management® (IREM). Linda is also the 2010 recipient of the 7th Annual Crossing Borders Award and the 2008 recipient of the Lehigh Valley SUITS Commercial Real Estate Award. Linda enjoys reading, relaxing, music, the arts and spending time with her family.